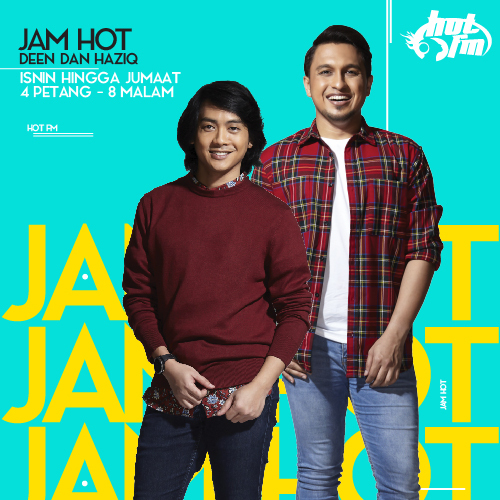 Welcome to Hot FM website! https://www.hotfm.com.my/ (“Site”) is a website owned, operated and maintained by Synchrosound Studio Sdn Bhd (215342-D) (“Company”). The Company and the Site are referred to as “we” or “us”. We are giving you access for personal use of the Site and not to download or modify any portion of it unless consent is obtained from us or the services provided in the Site allow you to download certain content as permitted by us at our sole discretion, subject always to the terms and conditions related thereto. You may not collect and/or use any content, product listings, descriptions, prices or images, or any use of data mining, data gathering and extraction tools. We will terminate, stop or suspend your access to the Site if we believe there is such unauthorised use. You agree not to use or launch any automated system that may access the Site in a manner that sends more request messages to the servers of the Site in a given period of time than a human can reasonably produce in the same period by using a convention on-line web browser. Notwithstanding the foregoing, we grant public search engines operators’ permission to use spiders to copy materials from the site for the sole purpose of creating publicly available searchable indices of the materials, but not caches or archives of such materials. We however, reserve the right to revoke these exceptions. You agree not to collect or harvest any personally identifiable information, including account names, from the Site, nor to use the communication systems provided by the Site for any commercial solicitation purposes. You agree not to solicit, for commercial purposes, any users of the Site with respect to their accounts registration or content submissions. You shall use the Site at your own risks. You agree to access and use the Site for lawful purposes only and you shall not conduct any unlawful activity on the Site. You will ensure that any information and details that you have provided on the Site, including for your account registration / login are valid, accurate and correct. You shall at all times abide by all applicable laws, rules and regulations, including those pertaining to libel, slander, defamation, product disparagement, harassment, invasion of privacy, personal data, tort, obscenity, indecency and intellectual property. When interacting with other users/visitors/sellers for their services, you should do so with caution and common sense to protect your personal safety and property. We, our affiliates or licensors are not responsible for the conduct, whether online or offline, of any user/visitor of the services. We, our affiliates or licensors will not be liable for any claim, injury or damages arising in connection with your use of the Site. We are not responsible for other users’ actions or inactions, including content that they may post on the Site. You acknowledge that there may be risks of dealing with people acting under false pretences. You acknowledge that you are responsible for the risks of making a purchase or any transactions on third party websites including its liabilities and consequences of taking such risks on completing the transactions on the third party websites. Such risks shall include, but are not limited to, misrepresentation of products and services, fraudulent schemes, unsatisfactory quality, failure to meet your specifications, defective or unlawful products, delay or default in delivery or payment, breach of warranty or breach of contract, violation of third party rights, claims made by third parties (“Risks”). You agree that we will not be liable or responsible for any damages, claims, liabilities, costs, harms, inconveniences, business interruptions or expenditures of any kind that may arise a result of or in connection with any Risks. Any damage, loss or expense resulting from the use of the Site and/or Risks shall be borne solely by you and we shall not be liable therefrom. You should not rely on any information made available through the third parties’ websites and/or through the Site. You should verify the validity and authenticity of the information before taking any action. We shall not be liable to you for any damages, losses or expenses incurred resulting from any use or access to the third parties’ websites linked to the Site, even if we have been advised the possibility of the same. In the event you have any dispute with any party to a transaction, you agree to release and indemnify us, our directors, officers, employees, affiliates, subsidiaries and representatives from all claims, demands, actions, losses, damages, costs and expenses, including actual, special, incidental or consequential damages arising out of or connection with such transaction. We are not liable for any claims including third parties’ claims for direct, indirect, special consequential, punitive or incidental (including but not limited to loss of revenue, loss of profits, loss of goodwill, loss of reputation, loss of privacy, loss of data or the cost of procurement of substitute products arising out of or from use, inability to use, performance or failure of the Website, that arise out of or relating to network service providers’ problems or your device problems, regardless such damages are foreseeable or arise in contract, tort, equity, restitution, statute or common law. In all cases, we, our affiliates or licensors, will not be liable for any loss or damage that is not reasonably foreseeable. You may post reviews, comments, suggestions, ideas or questions regarding the contents that are hosted on the Site. We reserve the right to remove or edit any reviews, comments, suggestions, ideas or questions that we find or believe at our sole discretion are obscene, indecent, violent, offensive, defamatory, illegal, threatening to public moral and safety, infringing intellectual property rights, invading privacy or anything that violates any relevant laws, rules and/or regulations, including the regulations of the Malaysian Communications and Multimedia Content Code. The said reviews, comments, suggestions, ideas or questions must not contain viruses, consist of mass mailings or “spam”. You represent and warrant that the content that you post (a) is owned by you or you are in control or possess all the necessary rights to the content that you post, (b) that the content is accurate and (c) will not cause injury to any person or entity. By posting such content on the Site, you hereby grant us, our affiliates, subsidiaries, agents and distributors the worldwide rights to use, copy, display, adapt, transmit, distribute, communicate, publish and promote the said content in any medium for operating, improving, marketing and promoting the Site and/or services related thereto or otherwise for any other relevant purposes. Such rights granted shall continue even if you have stopped using or accessing the Site and/or the services related thereto. We are the operator of the Site, and the contents of the Site are our property or are used under license from our clients, sellers and/or merchants. We are the owners of the compilation of information in the Site. All logos, icons, graphics, trade names, service marks, trademarks, images, text, websites, domain names, and other intellectual properties in relation to the Site, including “HOT FM®” (“Marks”) are intellectual properties owned by us or licensed to us. We also reserve all intellectual property rights in all content including design, layout, images and text of the Site (“Content”). The look and feel of our colour combinations, other graphical elements and any trade marks as well as any copyrighted materials on the Site are the intellectual property of the Company. Our rights are protected by international treaties, and by laws applicable for copyright, trademark, patent and trade secret and other proprietary rights. You are not allowed to copy, modify, display reproduce, distribute, publish, imitate in any format, any of the Content or the Marks for any commercial or business purpose without our express written consent. We grant you a limited, non-exclusive and revocable license to access this Site for the purpose of browsing products or services offered for sale, or obtaining information from this Site. If you breach this term, we reserve our rights to take appropriate legal action against you. Your license to access this Site does not extend to any commercial use of the Site, or to any use of this Site whatsoever which is for the benefit of any entity other than us. You may not reproduce, duplicate, copy, sell, resell, exploit any portion of the Site for any commercial purpose or otherwise other purpose without express consent from us. You are not allowed to create a hyperlink that portray us, our affiliates, our products or services in an offensive, derogatory, misleading or false matter. You may not frame or use framing techniques to enclose our trademark, logo, proprietary information (images, text, content format or layout) for whatever purpose without our express written consent. You are not permitted (a) to download any part of the Site and/or the services related thereto (other than by automatic page caching), (b) to amend or modify it or any part of it, (c) to reproduce or copy, sell (including any resale), or (d) otherwise exploit the Site (or any part of it) for any purpose other than as set out herein, nor are you permitted to frame the Site or to link to any element of it other than the homepage, unless otherwise expressly permitted by us at our sole discretion as provided in the Site which may allow you to download certain content, subject always to the terms and conditions related thereto. You are permitted to link to our homepage, provided that the link is not misleading, false, derogatory, or otherwise prejudicial to our interests but you are NOT permitted to use any of our Marks either as or in connection with such a link. Notwithstanding anything to the contrary, we do not suggest, endorse, promote or advertise any third party’s causes, ideas, reviews, sites, products and/or services of such links and we do not allow those links to use the content hosted on the Site for any inappropriate or commercial uses or purposes in any way that is unlawful or harmful to any third party. We reserve the right to withdraw permission to any of such link. To the extent permitted by law, we reserve the right to change, rearrange, add, modify or delete any content including without limitation, the features, design and layout of the Site, the content, advertisements, the list of products and services, the type of services and the information that are presented or displayed on the Site. Other marks, logos and names appear on the Site may be owned by third parties. You are responsible to ensure that their intellectual proprietary rights are not infringed in any way. You will fully indemnify us and hold us harmless against any loss or damage arising out of any and all third party claim which arises from such intellectual property rights infringement. We are not responsible for any error or inaccuracy in any advertising or sponsorship material. Advertisers and sponsors are responsible for ensuring that the materials they submitted for inclusion on the Site comply with all applicable laws. A cookie is a simple text file that is stored on your computer or mobile device by a website’s server and only that server will be able to retrieve or read the contents of that cookie. Each cookie is unique to your web browser. This Site can send its own cookie to your browser. Most browsers are initially set up to accept cookies. You can reset your browser to refuse all cookies or to indicate when a cookie is being sent; however, if you reject cookies, you will not be able to sign in to the services or take full advantage of our services. Additionally, if you clear all cookies on your browser at any point after setting your browser to refuse all cookies or indicate when a cookie is being sent, you will have to again reset your browser to refuse all cookies or indicate when a cookie is being sent. This cookie collects information about traffic to our services and how you use our services. The information does not identify you as an individual visitor of this Site. We use this information to help operate our services more efficiently, to gather broad demographic information and to monitor the level of activity on our services. We use Google Analytics for this purpose. It is essential to provide you with services available through our Site to enable you to use its features. For example, it allows you to log in to secure areas of our Site/services and help the content of the pages you request load quickly. Without this cookie, the services that you have asked for cannot be provided. This cookie allows our services to remember choices you make when you use our services such as your login details, and the changes you make to our services which you can customise. The purpose of this cookie is to provide you with a more personal experience and to avoid you having to re-enter your preferences every time you visit our services. It is used when you share information using a social media sharing button or “like” button on our services or you link your account or engage with our content on or through a social networking website such as Facebook, Twitter or Instagram. The social network will record that you have done this. These cookies track your browsing habits to enable us to show advertising which is more likely to be of interest to you. These cookies use information about your browsing history to group you with other users who have similar interests. Based on that information, and with our permission, third-party advertisers can place cookies to enable them to show adverts which we think will be relevant to your interests while you are on third-party websites. These cookies also store your location, including your latitude, longitude, and GeoIP region ID, which helps us show you locale-specific news and allows our Site / services to operate more efficiently. You can disable cookies which remember your browsing habits and target advertising at you by visiting http://www.youronlinechoices.com/uk/your-ad-choices. If you choose to remove targeted or advertising cookies, you will still see adverts but they may not be relevant to you. Even if you do choose to remove cookies by the companies listed at the above link, not all companies that serve online behavioral advertising are included in this list, and so you may still receive cookies and tailored adverts from companies that are not listed. We do not warrant or represent that your access to or use of the Site or the services provided in the Site or any linked site will be uninterrupted or free of errors or omissions, that defected will be corrected, or that such services or such linked sites are free of computer viruses or other harmful components. We are not responsible of any information transmitted by you or to you through the third parties’ websites or the Site, and you accept the risk that any information transmitted or received through the Site or the third parties’ websites. This Site may contain links to third party websites that are not owned or controlled by us. We are not responsible for the content or privacy policies of such third party websites. Under no circumstances shall we, our affiliates, our subsidiaries, our representatives or our suppliers be liable to you or to any third party for any direct, indirect, consequential, incidental, special or punitive damages, whether in contract or in tort, arising in any way out of access to or use of or inability to access or use any of the services or any linked or its contents, including without limitation lost profits, business interruption, or loss of programs or other data on computer systems or otherwise, even if we are advised of the possibility of such damages. We shall not be liable for any non-performance or delay in performance caused by any act beyond its reasonable control, including without limitation acts or omissions of third parties, unavailability of supplies, war, strikes, fire, flood or any other act of God, any law, regulation or order of any court, government or government agencies, or delays, unavailability, errors, or other failures of the internet or other data networks. We are not responsible or liable for any threatening, defamatory, obscene, offensive or illegal content or conduct of any other party or infringement of another’s rights including intellectual property rights. We make no representation that the content provided on the Site is appropriate or available for use in locations outside Malaysia, and accessing it from territories where the content of the Site is considered illegal is strictly prohibited. If you choose to access the Site or the third parties’ websites from a location outside Malaysia, you do so, on your own initiative and you are solely responsible for compliance with the local laws in such location. submitting yourself to the personal jurisdiction of courts located in Malaysia for the purpose of resolving any such disputes or claims. If you have any questions, comments, or complaints about the Site, please fill in the form available at the Site menu or email us. While every precaution has been taken in the preparation of the Site and every effort made, the accuracy of information mentioned in the Site are subjected to changes and differences. We shall not be liable for any errors or omissions that may remain and any losses or inconveniences incurred as a result of such changes or differences. The Site may contain inadvertent inaccuracies or typographical errors. These will be corrected at our end, as they are found. The information on the Site is updated regularly, but inaccuracies may remain or occur where changes occur between updates. We exclude any obligation or responsibility for such content. Some of the materials published on the Site provide general information only. They are not intended as an advice and must not be relied upon as such. The materials have not been prepared by taking into account your personal needs and requirements. You should make your own inquiries and if necessary take independent advice tailored to your specific circumstances before making any decisions. None of the materials on the Site constitutes, and must not be construed as, an offer of sale of the products mentioned therein, if any. Nor is it an invitation or recommendation to you to offer to purchase such products, if any. While every precaution has been taken in the preparation of the Site, the accuracy of promotions and prices of items advertised or mentioned in the Site are subjected to changes and differences. In the event of any discrepancies between the promotions and/or prices mentioned here and actual promotion and/or prices offered, the vendors’ or suppliers’ promotions and prices shall be taken as the final accurate version. We shall not be liable for any losses or inconveniences incurred as a result of such changes or differences. We shall not be responsible for mediating such disputes between the vendors and the customers or any other parties. When creating an account with us (if and when applicable), you are required to provide your full name, a user ID, password and e-mail address or mobile phone number or any other relevant personal data. When creating an account, you must provide a valid, accurate and complete information. You must have a valid email account so that you may receive notifications via emails from us. Upon registration, your account is duly created. To protect your account, always keep your password confidential. You are solely responsible for the activity that happens on or through your account. In order to participate in any of our contest, you shall read and abide to all the terms and conditions that have been set for such contest. Click here to read our terms and conditions.